An extraordinary sitting of the parliament has been set for tomorrow. 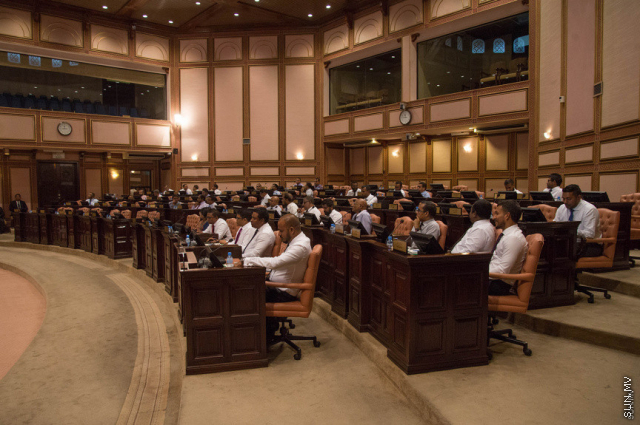 The Parliament's admin said that Speaker of the parliament, Abdulla Maseeh, has decided to hold another extraordinary sitting of the parliament tomorrow. The agenda for the sitting would be released later. While a parliament sitting has been set for tomorrow, an extraordinary sitting was held this morning as well. At the sitting today, the resolution on the 15-day state of emergency declared on 5 February 2018 by the President was sent to the national security council to extend the state of emergency for 30 days. At a PPM press conference tonight, Vice President of the party, Abdul Raheem Abdulla, said that the national security council's report has been sent to the parliament floor. The opposition MPs boycotted today's sitting after saying that it was not a legal sitting.